Millie Hartley and Balaji Sundaram Palaniappan are St Alban's Junior Recycling Officers for 2016/17. We are St Alban's Junior Recycling Officers, Millie and Balaji. We are really excited to run competitions and help people with recycling. My name if Millie Hartley and I am eleven years old. My hobbies include horse riding, gymnastics and piano. I have always wanted to be a Recycling Officer because when I was younger I used to win some of the schools recycling competitions. My name is Balaji and I am eleven years old and my hobbies include martail arts, badminton, football, scouts and cricket. 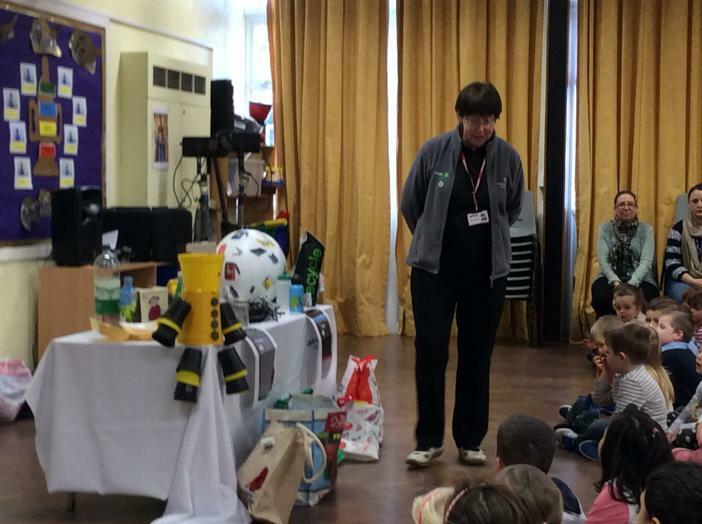 This year we wish to make the pupils of St Alban's more interested in recycling and be able to understand it. Millie and Balaji devised a powerpoint slideshow and have shared it with the whole school to encourage the children to Recycle. During this academic year we have held many great events including a whole day devoted to recycling. Because of all the work we have done throughout this year we were accepted into the finals of Cheshire East JRO of the Year. Louis and I had to deliver a speech to a panel of judges and Lucinda Hodges, the Waste Education Officer coordinated the event. There were only two other schools in the final, Scholar Green and St Mary's. Our speech went very well and it was a very hard decision for the judges. On this occasion we didn't win but came home as proud runners up. The whole day was exciting and fun and one I won't forget in a hurry. On Thursday 19th March Joss and I went to a recycling event run by Lucinda Hodges, Cheshire East Recycling Officer. There were JROs from lots of different schools in Macclesfield who attended. First we learnt about the 'Love Food Hate Waste' campaign and were told about how we could re-use unwanted food. Then the judges announced the winners of the 'Fibre Guy'' competition. Our school had some fantastic designs and we took our five favourite models to the main event. It was very close but unfortunately we didn't win. However, Joss and I still enjoyed this event and are looking forward to incorporating new ideas into school. Hello everyone, this year myself and Joss will be your Junior Recycling Officers (JROs) and we would like to introduce ourselves. My name is Louis Fox and I'm ten years old. My favourite hobbies are football, cycling and Maths. In later life I would love the chance to become a successful author because I really enjoy English. This year I would like to emphasise how important recycling and picking up litter is to us and would also like to organise a clean up the school day for everyone to join in! My name is Joss Abbs-Brown and I'm ten. My favourite hobbies are Art and cycling (particularly because we have just completed the Bike Ability at school). In my life I would love to become an Illustrator for children's books and also write my own books like Quentin Blake. 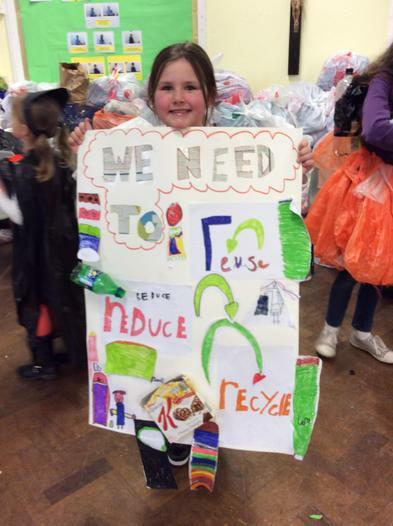 This year I would like to make recycling fun and exciting for everyone of all ages, including fun filled competitions for everyone. Joss and Louis would like to thank all the children who took part in this competition. All the entries were very good and it was a tough job choosing the winners. 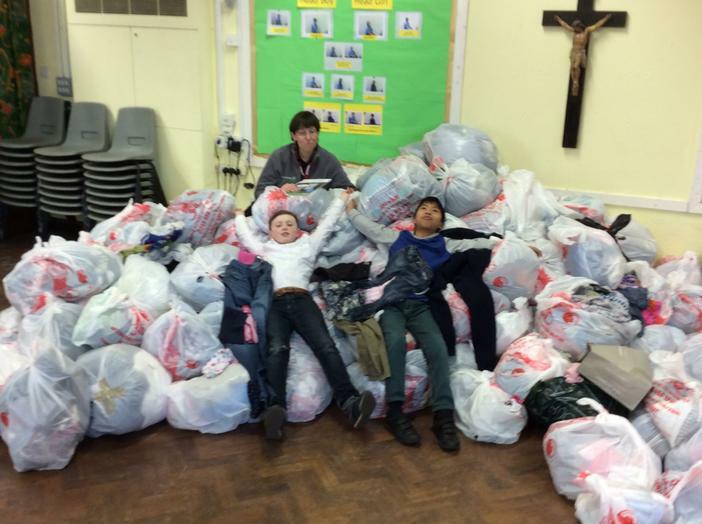 On Tuesday 3rd February St Alban's took part in a Recycle Day. 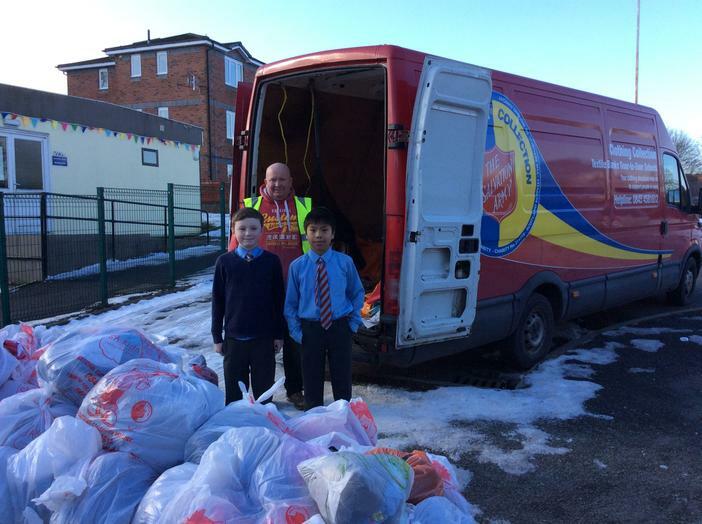 We were giving unwanted clothing to the Salvation Army in return for coming into school in non-uniform. Everyone also brought in recycled materials for the day's activities. In the morning Lucinda Hodges, Waste Education Officer, gave a talk about recycling and what we should and shouldn't throw away. We were told about the 3 Rs (Reduce, reuse and recycle) and encourages to include them in our day to day lives. The whole school found this interesting and learnt valuable facts from it. 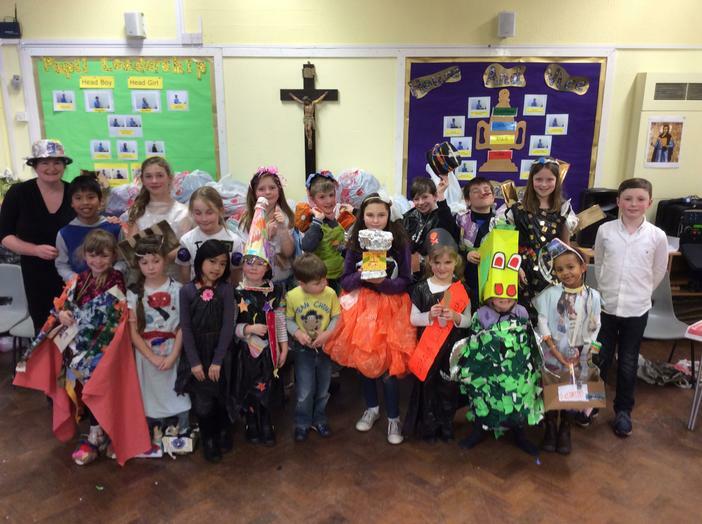 The whole school challenge was for each class to design an item of clothing from recycled materials for an afternoon fashion show. The designs that Joss and I saw were superb, with every class working well as a team and having fun at the same time. You could tell the atmosphere in Year 6 between the teams was heated though!! Finally at the end of the day came the fashion show, which everyone enjoyed. Every class got to showcase their design and it was hard for Joss and I to decide on the winners. I think the event went extremely well and I, as I'm sure everyone else did, thoroughly enjoyed it!